The Hannover, Germany based instrumental space rock band, the Noetics are back with their third studio record. It was recorded at the now famous analog studio, Institut für Wöhlklangforschung in Hannover. The CD was not recorded analog though. The CD features 11 tracks in 54 minutes and has an excellent, very clean, clear sound and really sounds good when you crank it up, but beware of the rich low end (if you have a subwoofer). Pennisolar starts things off quite slowly with some really nice didgeridoo, fenders Rhodes piano and a very cool bass line. The band is much more into a laid back vibe on this record and reminds me a bit of Weather Report at times. Vibrant Hydrant begins with a lot of delay on all the instruments to give the track a really spacey feel as it slowly builds. This track features a guest on violin (also on tracks 4 and 9 as well). Rumpankong is a bit funky, a bit dubby and with some added flute. Rotterdub is a short 4 minute dub track as the title suggests with some spacey sounds mixed in here and there and some tabla drums that add a really nice effect. This track should have been much longer. Der Heikle Mann is more spacey with some really nice melodic guitar. I wish Christoph would do more solos though. This is one of the few tracks to feature a lot of guitar. Track 6 (long German name) has a nice groove and a guest Trumpet solo to compliment the hand drums, synths and fender Rhodes. Nukular is a 3½ minute spacey track that is like something the Ozric Tentacles would make these days. Schinkenwurst Dub is the longest track on the CD at 6½ minutes as like the title suggests, is a real dub number with very deep bass, cool funky guitar and a lot of spacey sounds. Cool number. Grant Lump and the Elevator and Santa Grinse are both shorter tracks with very nice melodic playing. 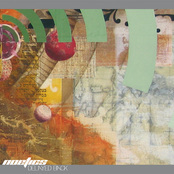 The CD ends with Mädrescher, which again features the didgeridoo, and is in a dub style, with spacey synths, skanking, and extra percussion. If I have one complaint with the CD, it is the tracks should be longer so that the band has more space to solo. Instrumental music is meant for taking people on journeys and few of the songs even reach 5 minutes on this CD, which I think is a bit too short. Fans of the Finnish band Taipuva Lutisuoria’s new record, will also like this new Noetics record. While the band used to be quite Ozric Tentacles inspired they have headed into a new horizon of laid back and spacey tracks. Enjoy. Fantastic CD.